The film Amadeus depicts composer and God’s devout follower, Antonio Salieri, and his life through which another musical genius, Wolfgang Amadeus Mozart was integral in. Salieri’s story is told in flashback mode, where his young self is both awed and disgusted at Mozart’s God-given talent, for young Mozart was so vulgar and immature. The movie was nominated for 53 awards and received 40, including eight Academy Awards, four Golden Globes and a Directors Guild of American award. This year, the movie resurrects onstage. 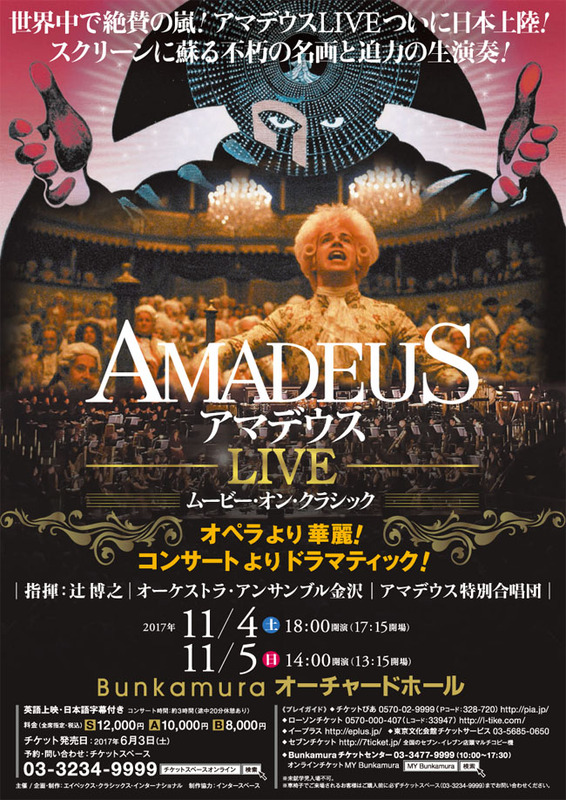 Experience Amadeus on a vast HD screen while Mozart’s works are performed live, in-sync by a full orchestra and choir. Website available in Japanese only. Movie will be played in English with Japanese subtitles.